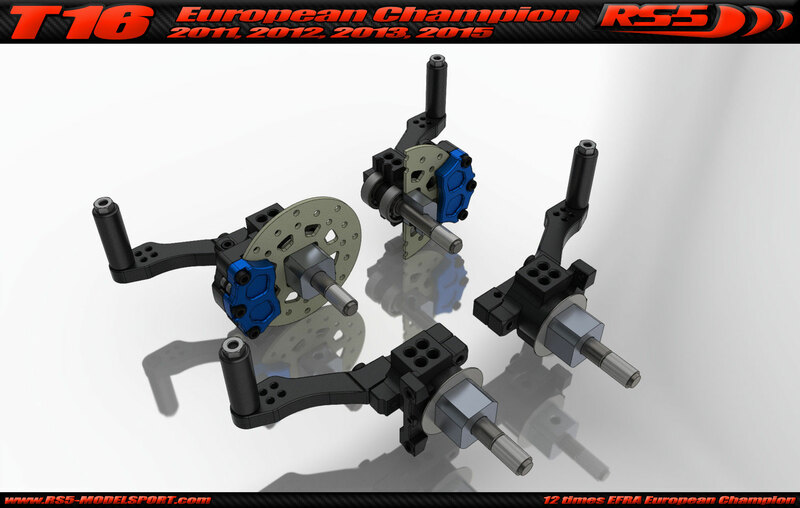 New 2016 version front wheel hubs with 4 different offset positions on the top. The back inside hole was the basic hole at the T15 and earlier cars. The holes are 6-6 mm offset from each other. The different offset has effect to the rear traction and the steering characteristic of the car. 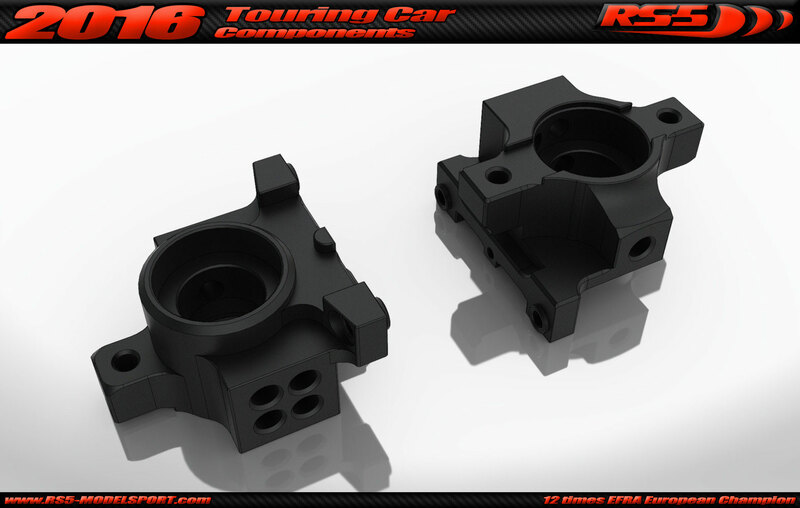 The hubs are made of 7075-T6 alloy and are CNC machined.The new front hub is standard on the T16 and Tx16 cars and compatible with the T15 car.